T :: a collection of rejected New Yorker cover ideas. this one was for Fall / of the news-paper industry. 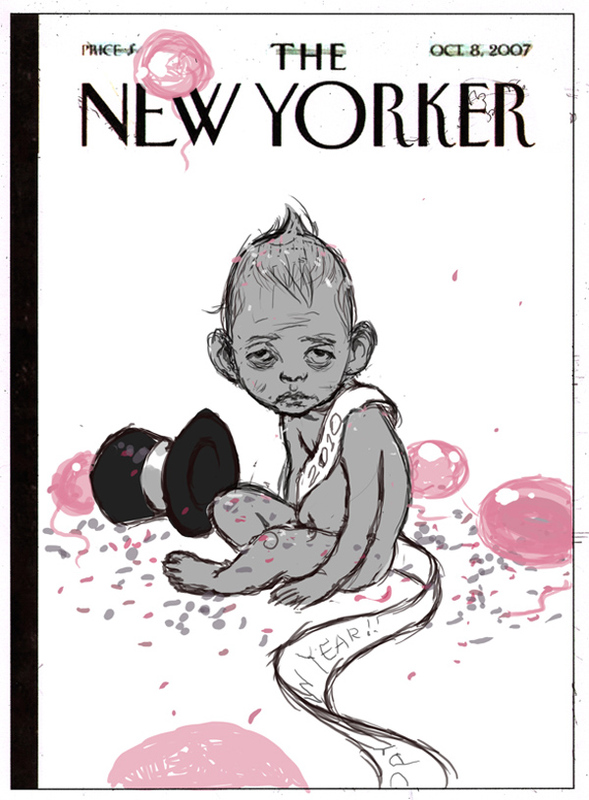 this was predicting a tough year by depicting a preemptively spent New-Year's Baby. was an alright year after all, it turns out. the last one is excellent. You achieved an amazing symmetry in the composition on that summer fiction piece. So beautiful, so tranquil. They still haven't published that window piece, have they? that one is probably a goner too. I love that Valentine's Day one. They could run it just like that. Wow, the Fall one is brilliant! The window one is my favorite. It's a really striking moment. Concept of this post is awesome. I love the falling New Yorker leaves. That would have been such a beautiful image. 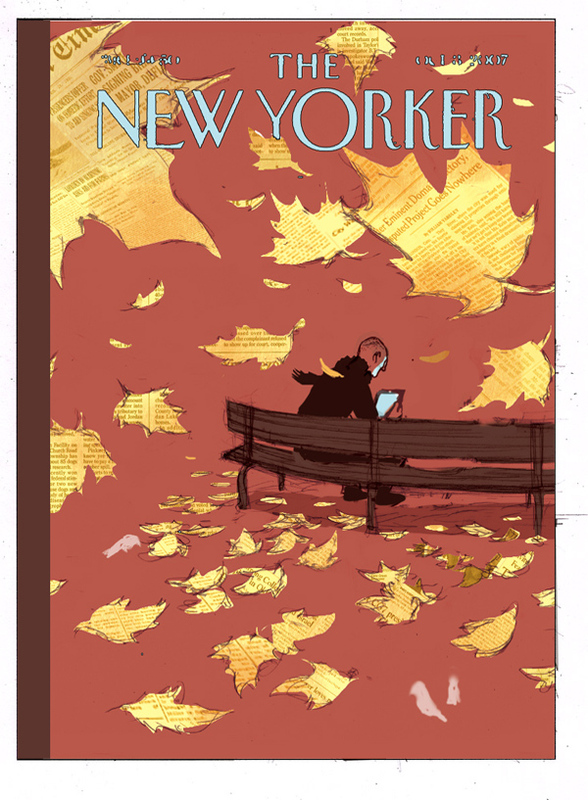 They're not leaves of The New Yorker, they're leaves of the New York Times. And the fall cover is magnificent. I wish I could get a print of it. The first one is fantastic , I love the composition (well truly they are all great). Was that one really drawn in Tuscany? 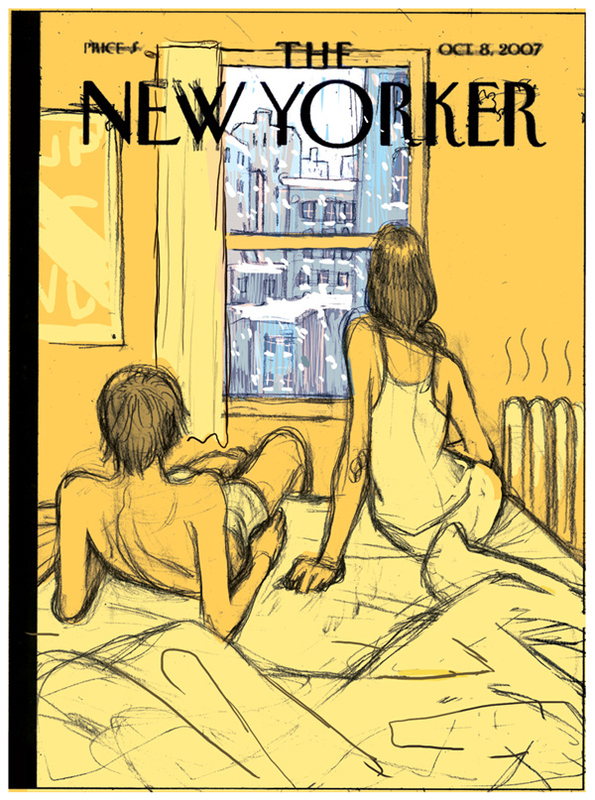 Would love a print of the apartment one, with or without the new yorker name on it. Any chance I can order one? that's crazy these got rejected, especially considering a lot of the covers that actually get printed. not to diminish these at all. they are awesome. 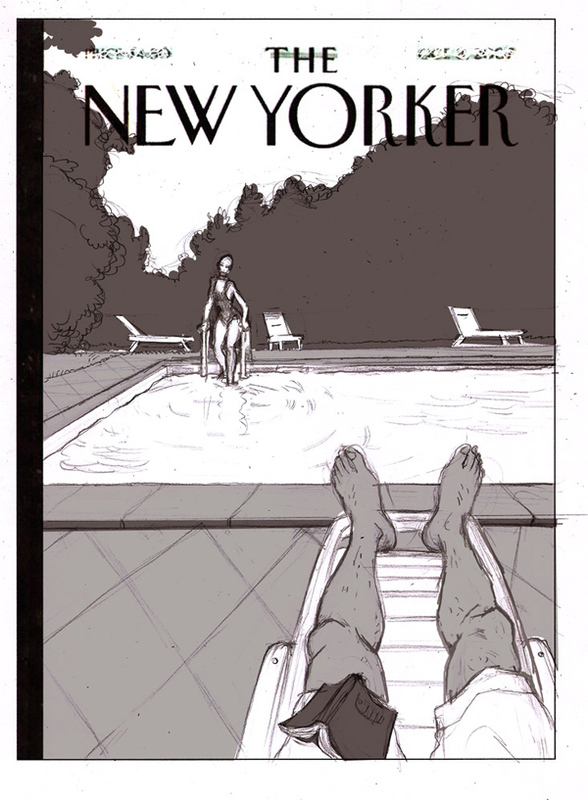 if memory serves, weren't the covers to that top shelf anthology also proposed new yorker covers? either way, stellar work as always.